Thousands of people lose their teeth due to numerous reasons, including tooth decay, accidents or gum disease. And after losing a tooth, people expect that a new tooth will grow itself. But sadly, permanent teeth no longer grow again. So the only way to replace a lost tooth with a new one is by considering Dental Implants. The traditional Dental Implants in Islamabad, Rawalpindi & Pakistan procedure used to take almost a year to finish but nowadays, dental implants can take up to 48 hours only to finish the procedure. And due to the immediate implantation, dental implants are common and almost every person prefer dental implants to enhance his facial aesthetics and beauty. 1. What is Dental Implants? You must be feeling less confident if you have lost a couple of teeth. But if you want to improve your self-esteem then you can replace them through Dental Implants in Islamabad, Rawalpindi & Pakistan. One of the benefits of dental implants is that you will feel replaced teeth as your own teeth. 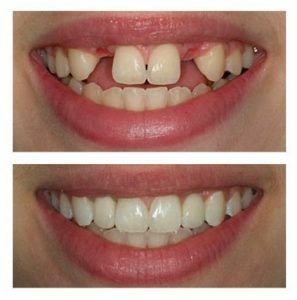 As they are permanent, can help you in enhancing your overall or physical appearance and nobody will be able to distinguish between your real teeth and dental implants. If you have spaces between your teeth or have dentures, then you might be facing difficulty while eating. But by getting Dental Implants in Islamabad, you will surely feel pleasure while chewing as you never had before with your spaced teeth. If you lack some teeth or have dentures that slide down while talking, then you may find yourself unable to pronounce some words and your speech can become slurry. So the best way to fix your speech is to consider Dental Implants in Islamabad, Rawalpindi & Pakistan. These are long-lasting and you don’t have to worry about slipping out and you will be able to easily pronounce every letter of the alphabet. As Dental Implants in Islamabad, Pakistan will give you a sense of comfort. Because if you ever had dentures then you must be familiar with the fact that they are temporary and you have to remove them on certain stages. But dental implants are permanent and you don’t have worry about removing them or replacing them as these will be stuck to your teeth, just like your own teeth. In the very past, people are considering dental implants to replace their damaged teeth with perfect sized teeth. And the global success rate is 98% due to the people’s trust and good experience. But everybody can’t get dental implants Islamabad, Pakistan, as there are few conditions to become an eligible candidate for it. You should promise to keep good oral hygiene. You should be healthy enough to undergo a dental procedure such as dental extraction or oral surgery. You should have a strong jawbone and a healthy gum so that your dental implants will be in place. You should be constant to visit the dentist’s office for general checkups. First of all, the dentist will remove your broken tooth carefully so that the tooth socket doesn’t get damaged. As a damaged tooth socket can lead to poor diagnosis and gum recession. Then the dentist will implant new teeth in such a way that it is intact or immovable. The implant placement is the primary stability of the dental implant. A lag-screw is interwoven or traverse to secure both, the crown and the abutment to the internal thread on the implant. In the indirect method, the abatement is attached or connected to the dental implant and then the crown is cemented to the abutment. The purpose of using an abutment is to create a change of angulation for the crown to emerge through your gum tissues with a natural look. If you have a habit of smoking then you have to quit smoking. Take good care by maintaining your oral hygiene for at least the first two months.